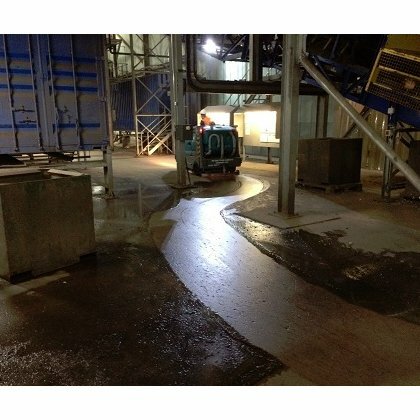 Effortless cleaning by the Tennant M20 in a large metal and plastics recycling plant. 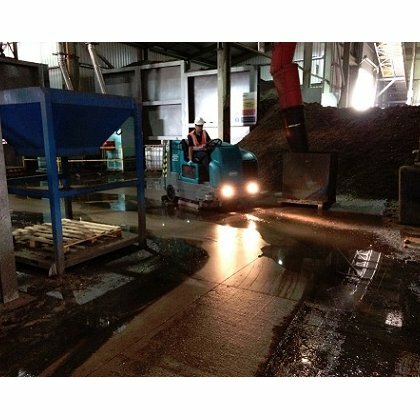 The Tennant M20 quickly removed soil, water, oil and fragments of metal and plastic from the concrete floor in just one pass. 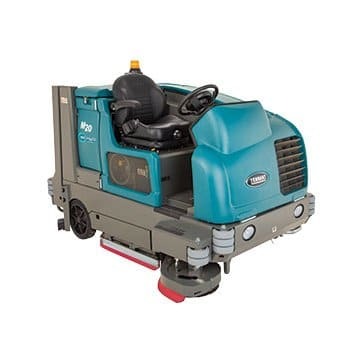 The Tennant M20 sweeper scrubber provides an innovative way of cleaning with its FloorsmartTM system. 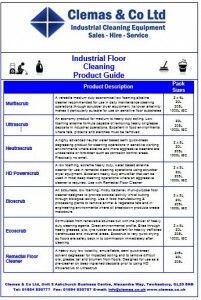 FloorsmartTM is an integrated cleaning solution for true one-pass scrubbing and sweeping. 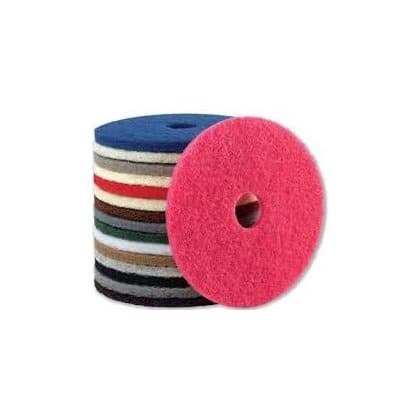 A 30cm diameter heavy duty polypropylene brush with improved bristle composition is designed for optimal performance in both sweeping and scrubbing. The Tennant M20 sweeper scrubber delivers maximum productivity due to a large capacity high-dump hopper and variable down-pressure. – The high rpm of the brushes, brush pressure and vacuum in combination with working speed gives an enhanced level of cleaning. – FaST (Foam Scrubbing Technology); up to 30% more productivity, up to 30% cost saving and 95% savings on water and detergent. – ES (water recycling); extends runtime and increases productivity. – Automated one button operation, front wheel steering and power steering; for ease, comfort and excellent manoeuvrability. – Positionable scrub head and sweep brush; extends cleaning reach. 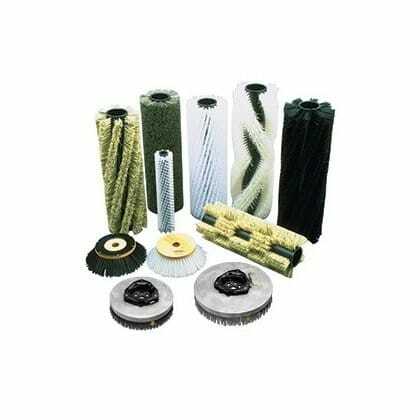 – Dual counter-rotating cylindrical brushes; true one-pass cleaning. – Large hopper capacity; higher productivity. – Swing-out covers and on-board diagnostics; easy maintenance and service. 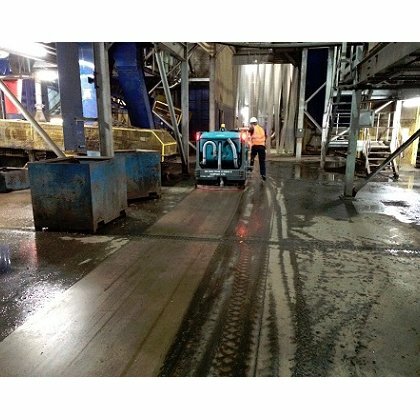 – Scrubbing and sweeping side brush; maximised productivity.